Where has the summer gone…somehow, it still feels like summer with the unusually warm temperatures and high water levels (thanks to the west winds!). 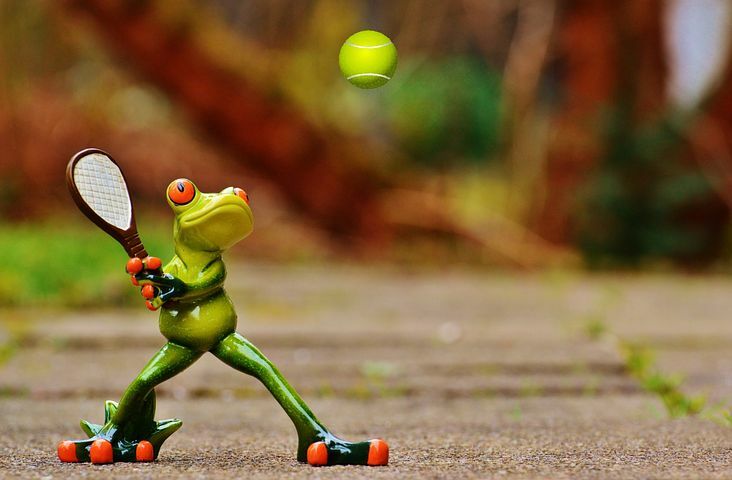 Even though the summer is winding down, PaBIA will still be sending out a dedicated eBlast with the ToA Candidate answers to the questions that the GBA has posed. 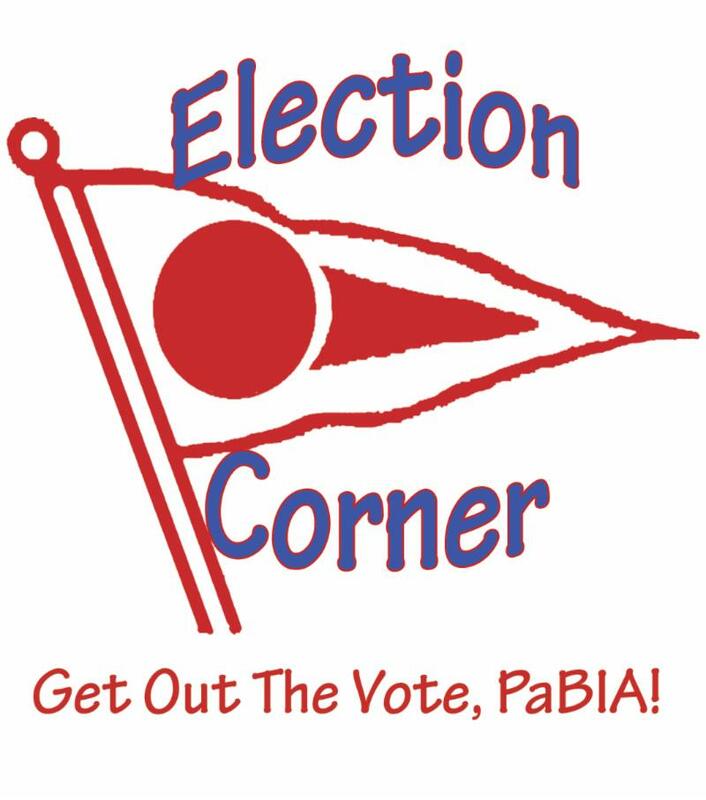 Please know that PaBIA encourages all eligible Canadian voters to vote in this year’s first ever ToA election where voters have been given a choice of candidates! Please note: the Township has lifted the TOTAL Fire Ban but we still remain in a High Fire Rating. October 2018 – Is your Birth Date Properly Recorded at the ToA? All prior information regarding what you need to know to ensure you are registered to vote can be found in the column to the right of this eBlast (computer) or below the signage at the bottom of your smartphone. As shared last week, PaBIA, using the GBA suggested questions, sent to all the candidates in Wards 1 & 3 and the Reeve a copy of the same set of questions, requesting that they return the questions with their respective answers in 1000 total words or less to PaBIA in a pdf such that we might then share their responses with our membership. The GBA advises that the population of the Greater Toronto Area (GTA) is projected to grow by 41% from the current 7 million to 9.8 million by 2041 – over 100,000 each year. 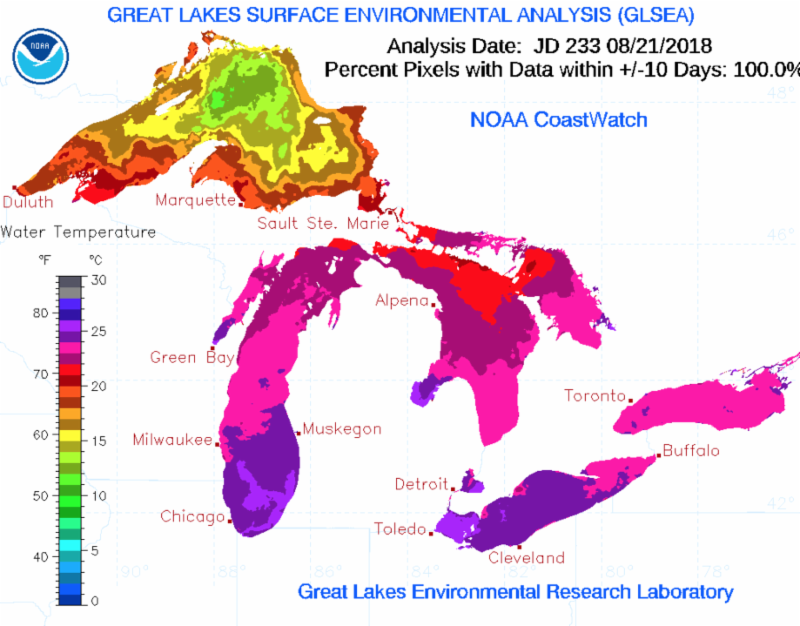 This growth will continue to bring significant development pressure to bear on all of Georgian Bay, including Pointe au Baril. What planning would you recommend to anticipate this growth? With regard to planning regulations, controls and enforcement within the Township of the Archipelago, which do you believe is more important – protecting the interests of property owners, or protecting the Georgian Bay ecosystem and why? Do you think that Georgian Bay would benefit from a coordinated, consistent approach, such as establishing a planning resource that would provide expertise and knowledge for all Georgian Bay municipalities? In response to the overwhelming development pressure, would you be in favor of tighter regional planning? Why or why not? Do you agree with the current Official Plan (OP) and Comprehensive Zoning Bylaws (CZBL) of the Township of the Archipelago, particularly the Pointe au Baril Islands and Skerryvore Neighbourhoods for the Ward 3 candidates, or (as applicable) Ward 1 for the Sturgeon Bay and Station Neighbourhoods, or do you think they need to be improved? If so, what improvements will you be recommending? Do you believe that the Township of the Archipelago is providing sufficient support for the control and eventual eradication of the invasive plant species Phragmites (Australis), or do you think more could be done? If so, what additional actions do you think the Township of the Archipelago should be taking? Do you believe that the Township of the Archipelago has good procedures in place for enforcement of its Bylaws (such as residents’ noise, fire, other nuisance concerns)? 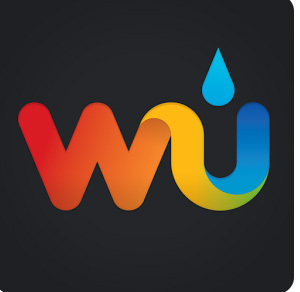 If not, what improvements would you recommend? Do you believe that there should be inspections to enforce these bylaws, or not? 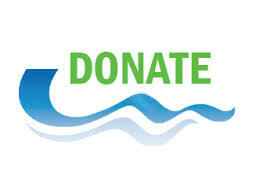 Are you satisfied with the current measures/programs being undertaken by the Township of the Archipelago to help improve water quality in the township, including water quality testing and the inspection/maintenance of residential septic systems? If not, what additional action would you recommend? Do you feel it is important for the Pointe au Baril community to have Township aide and support for emergency medical assistance? Why or why not? What are your views on additional expenditure and potentially higher taxes to provide improvements to the services? What do you feel is the single most important issue for the Pointe au Baril community that you want to address as its Reeve or Councillor? What do you plan to do as Reeve or Councillor to address that issue? Body Bell Buoy Race Sailed in Boiling Waters! 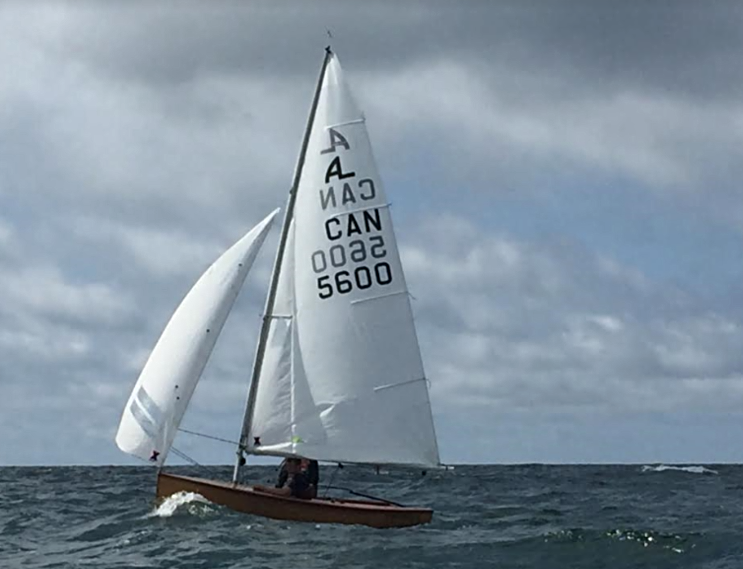 ﻿The final race of 2018 to the bell buoy was held on Sunday. By then, Saturday’s stormy weather had continued through the night, building waves on the open bay to 5 foot swells. On Sunday morning there were whitecaps everywhere and these crashed upon the reefs in a boiling, roaring rage. Driving our craft toward the buoy to windward through the 15 knot breeze, we had to slacken our mainsails and steer a looser course away from the wind. Even so, our boats still came to pounding stops as vertical walls of water hit our bows and either parted or went over the deck as flows of green water that flooded our hulls. The race became a contest with nature, sailing fast a secondary thought. Turning at the buoy, the ride home was swift, as catching a wave to surf would accelerate our boats to the speed of the wind and leave our sails hanging loose. 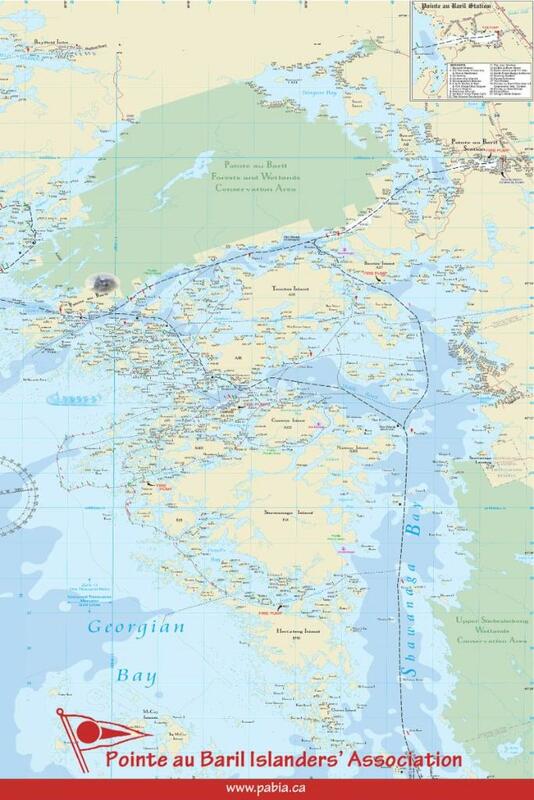 Caution remained the rule as we rolled past the turbulent shoals closer than we had ever done before. 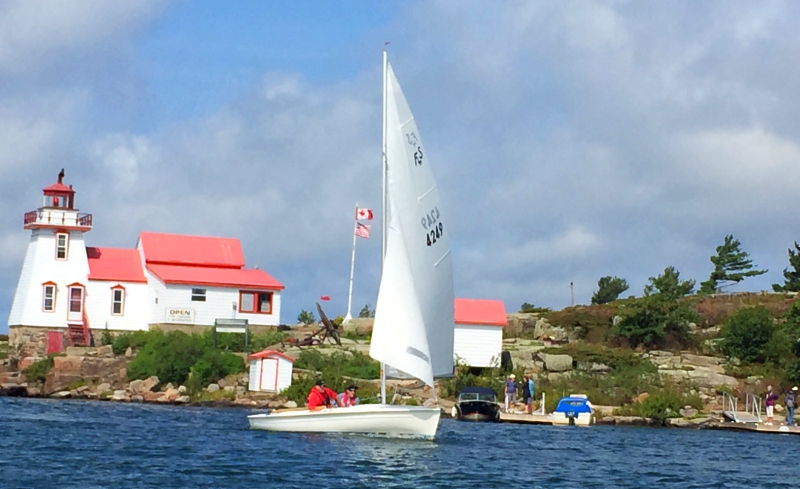 By the time we regained the lighthouse, the wind had eased, the clouds cleared, and we crossed the finish line in the placid waters we know much better as Pointe au Baril. The last Rendezvous of the season was hosted by Gail Regan on the green lawns of Brooker Island as is tradition, thank you Gail. Sailors found a sudden hunger for food and fellowship, quaffing ale and sharing tales under a brilliant sun that promised summer would linger yet a bit longer. We sail again in June 2019, please join in! PaBIA Thanks All the Sailing Rendezvous Hosts! PaBIA would like to thank all the rendezvous hosts for opening their cottages/islands for the gatherings after the sailing races this summer. Each rendezvous was filled with laughter and discussion around who did what, why they did what, and how to be better the next time! One of the rendezvous was opened up to everyone to come and experience the camaraderie that PaBIA sailing offers…complete with an Oktoberfest in July (yummy sausages and salads) and the accompanying Norse Beer on tap at the Sharpes’. 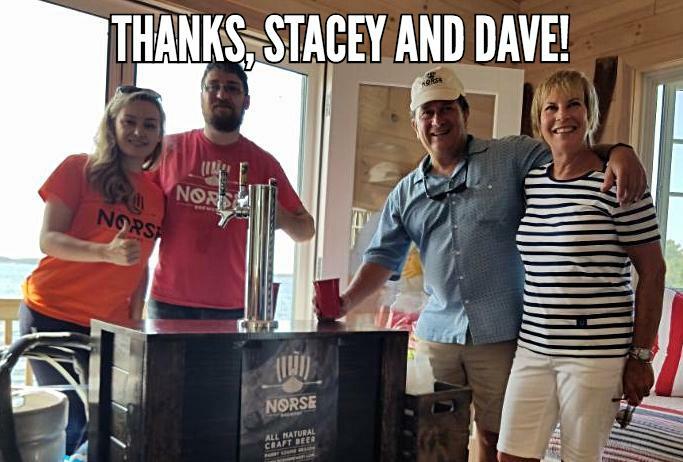 Dave and Stacey provided all the food and beverage and asked for a $10 donation to go to PaBIA to help support its endeavors. They raised almost $1200!!! 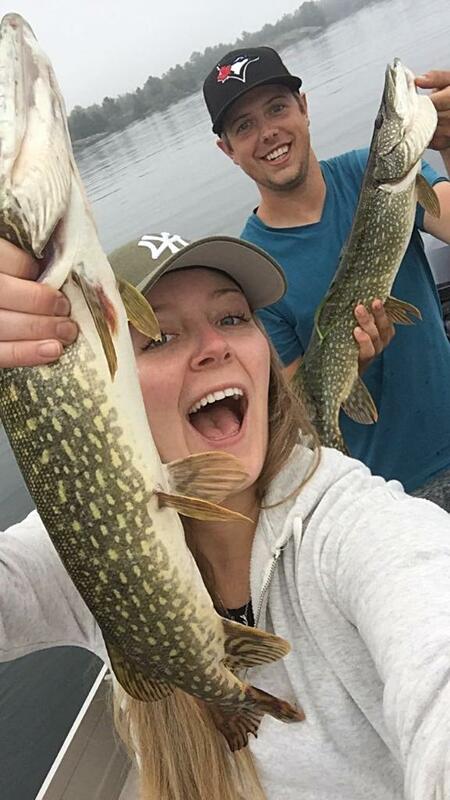 We’ve had consistent stories of very good fishing results in Pointe au Baril this year, especially for bass and pike…and one musky tale! Bass have apparently been gorging on the invasive species round goby, and are getting fat and happy on them. 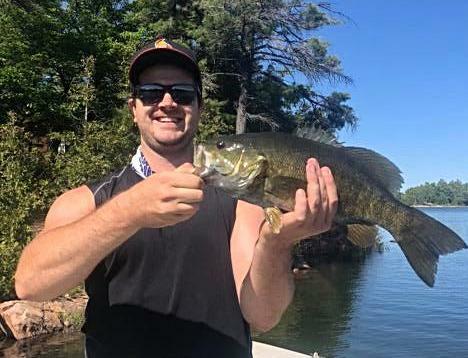 Above is a photo of my cottage guest Evan Anderson with a beauty of a small-mouth bass, one of many he and I reeled in and released earlier in the summer. Northern Pike seem to have benefited from higher water levels in the last few years. Here’s a photo of Ali Tafts and Adam Black who scored this double-header in the second week of July. They caught five pike that day…all of them released back into the bay. Well done! And finally…it’s a really good day when you hook into and land a muskellunge. 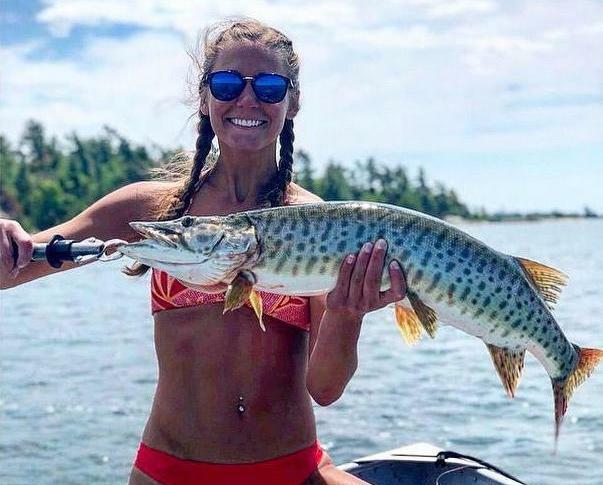 Below is a photo of cottager Devlin McDaniel’s guest Kate Holler with a very healthy-looking muskie, caught and released in July. Looking forward to September fishing! If you have fishing photos and stories, please send them to me, Phil Jenkins. 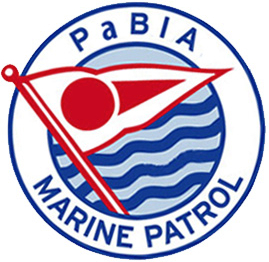 The Marine Patrol would like to thank PaBIA and its members for a fantastic summer this year. 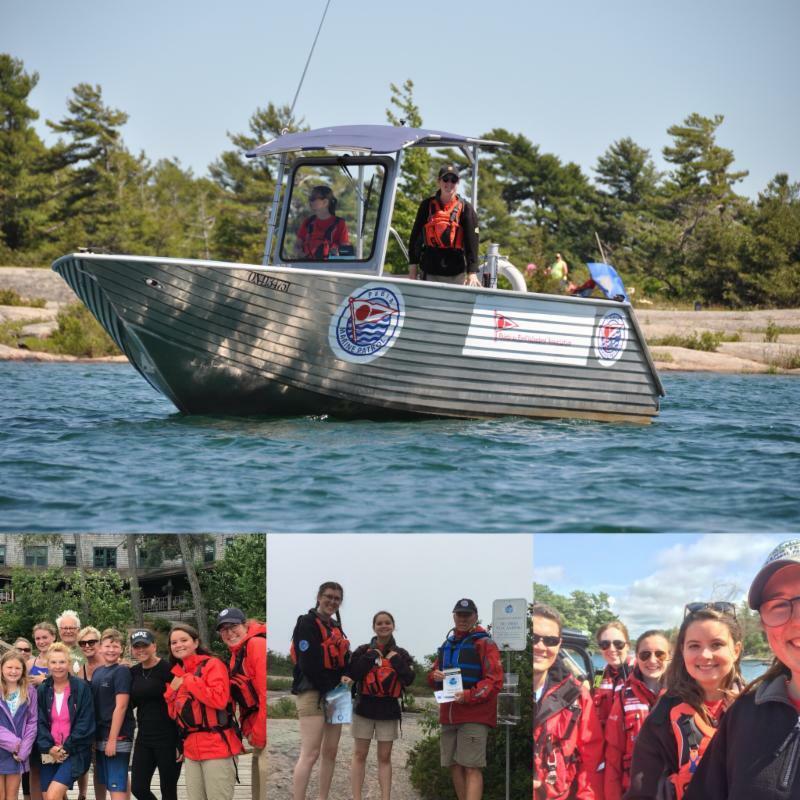 We enjoyed the CCG trainings, community involvement including the White Star Swim, and conducting GBLT land surveys. A special thanks to our supervisor, Cath Fairlie, for all your support and organization. See you next year! Monarch butterfly. Eastern foxsnake. Massasauga rattlesnake. Bald eagle. Blanding’s turtle. Little brown bat. Lake sturgeon. These are all iconic species of Georgian Bay, and species at risk of extinction. Eastern Georgian Bay is home to over 1,100 native plant and animal species. 50 of these species are experiencing significant population declines, causing them to be classified as a species at risk. Little brown bats have seen a population decline of 94% since 2010 alone, due to white-nosed syndrome, caused by a fungus. Each species plays a crucial role in our ecosystem. The loss of species results in the loss of biodiversity, reducing our natural environment’s ability to be resilient to disturbances — such as natural disasters and increases of disease and pests. Many of the ecosystem services that we depend on, rely on having a healthy, resilient ecosystem. Many factors contribute to declines within Georgian Bay, including, habitat loss, development, road mortality, invasive species, harvesting, poaching and pollution. GBBR aims to teach people about how to reduce these pressures on wildlife. Visit stateofthebay.ca to see how you can help with species at risk conservation. We are looking for stories that exemplify Guardians of the Bay behavior, to share and promote, as a way to spread the ethic and encourage more GOTB behaviors. vnvvvvv1. What’s your name and what’s your connection to Georgian vnvvvvvvvBay? vnvvvvv2. Why is being a Guardian of the Bay important to you? vnvvvvv3. What’s your story that exemplifies the Guardians of the Bay vnvvvvvvvethic? Please send your stories (as a word document) and a picture or two to Jamie Drayton (GBA’s Guardians of the Bay Committee Chair); and we’ll do our best to feature your story on our website and on social media. We look forward to hearing from you! Henvey Inlet Wind Construction to Start Up Again! Tom Lundy from Ward 1 sent an update of the Henvey Inlet Wind Construction Project which will begin to start up again, albeit with precautionary measures in place and the blessing of the MNRF! The Pointe au Baril Habitat for Humanity house plans are complete with only minor adjustments as the build proceeds next spring. Contractors are submitting their Habitat-friendly bids for work we expect to start this fall: driveway, well and septic system. 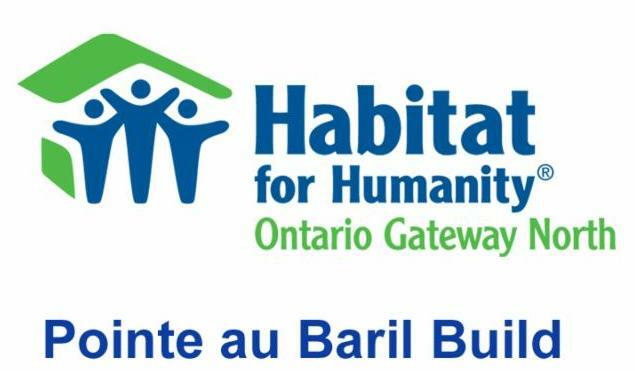 This will truly be a joint village and islander effort to build a home and build new relationships with volunteers from Pointe au Baril, Bayfield and Nares, down to Parry Sound and including the Shawanaga First Nation. We need your participation now to keep the progress going. It’s an exciting process. Join us!